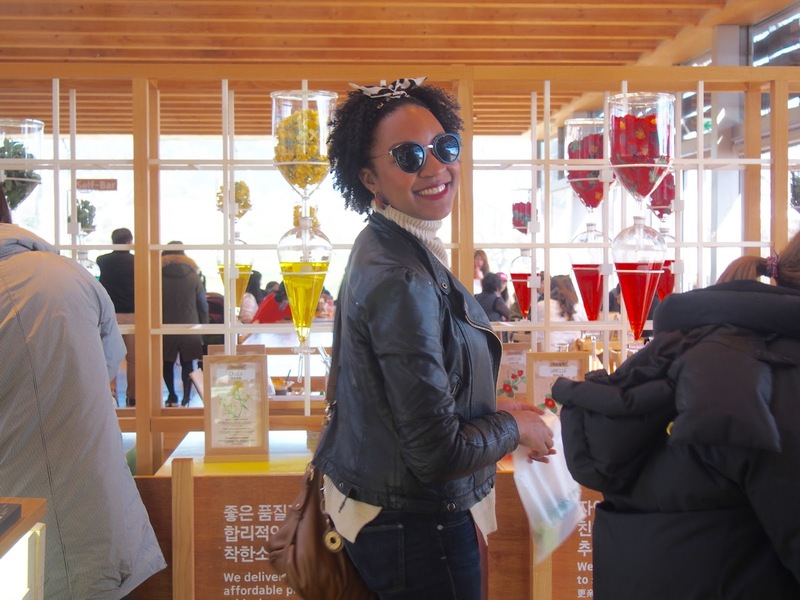 The magic of green tea: Why are most Koreans tiny and cute as a button? I have no clue, but it is definitely not rice, so it must be green tea, right? Anywho, I swear green makes me feel alive. I can drink ten cups a day without blinking an eye. It's loaded with all the good stuff, so I am glad I love it, not to mention it can help with losing a few unwanted inches. Also, it is loaded with antioxidants and can help you to feel more alert. There are tons more benefits, but I just wanted to list a few. I kind of fell off the green tea train, but I am getting back on because I swear I am more alert when I drink it. Must be all the caffeine :) Green is not only great in teas, but it is also great in skin and hair product. One of my favorite thing to do is to put chilled green tea bags on my eyes. I will do a post about this soon. I love to use it in my hair. And, I love it in various foods. Am I obsessed? 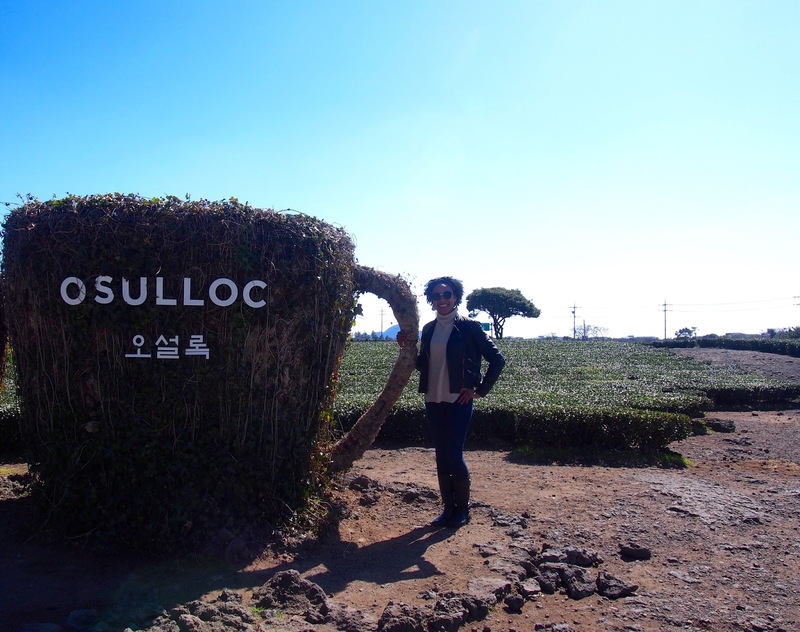 Maybe, but green tea gives me life, so I had to visit O'Sulloc Green Tea Museum. Fun fact: Some teas have the same mama. Black, green, oolong and white teas are all from the same plant called Camellia Sinensis. The leaves are treated differently to create each tea. These are all some of my favorite, so this was good to know. Love: As for the surrounding grounds, it was beautiful. The garden was well manicured and the fields perfectly trimmed. It was smaller than I had expected, but it was beautiful nonetheless. 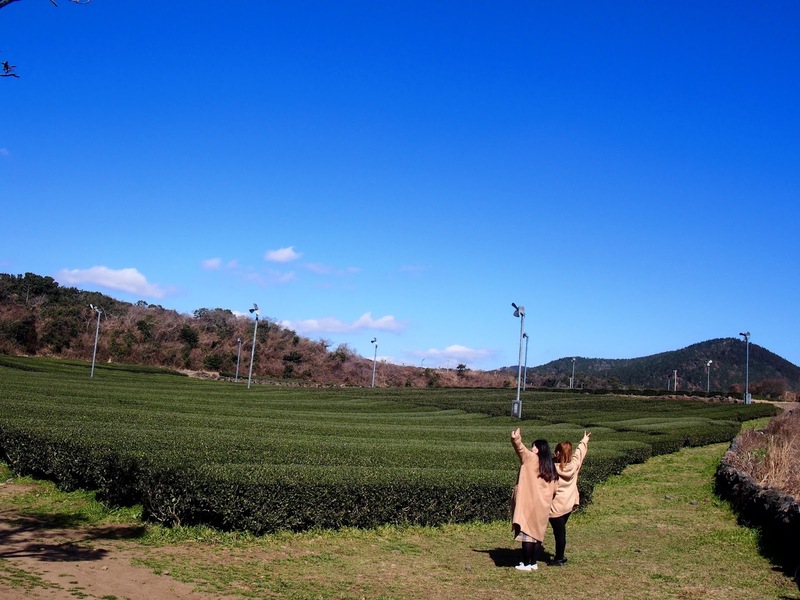 Across the street from the museum is a bigger green tea farm. It was super cool to walk through. It felt like I was trapped in time. The view of Hallasan (the highest peak in South Korea) was great from the rooftop of the museum. I can usually see Hallasan from my rooftop but this view was certainly a great vantage point. Also, I got a view of Sangbangsan in the distance, too! Double wammmmmmmy for me! I will have to do a post about Sanbangsan soon. Quick Korean lesson: San means mountain in Korean. 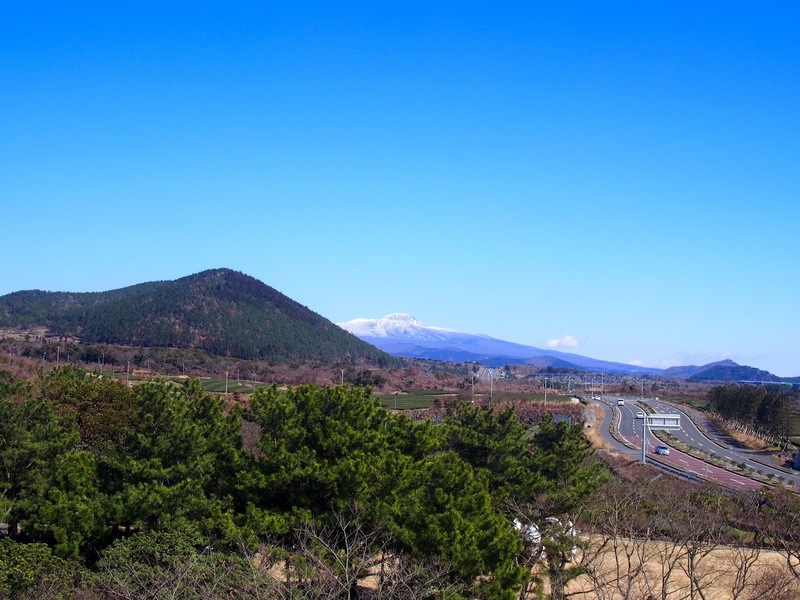 Hallsan=Halla Mountain and Sangbangsan= Sangban Mountain if translated. See my post about Hallasan, HERE. 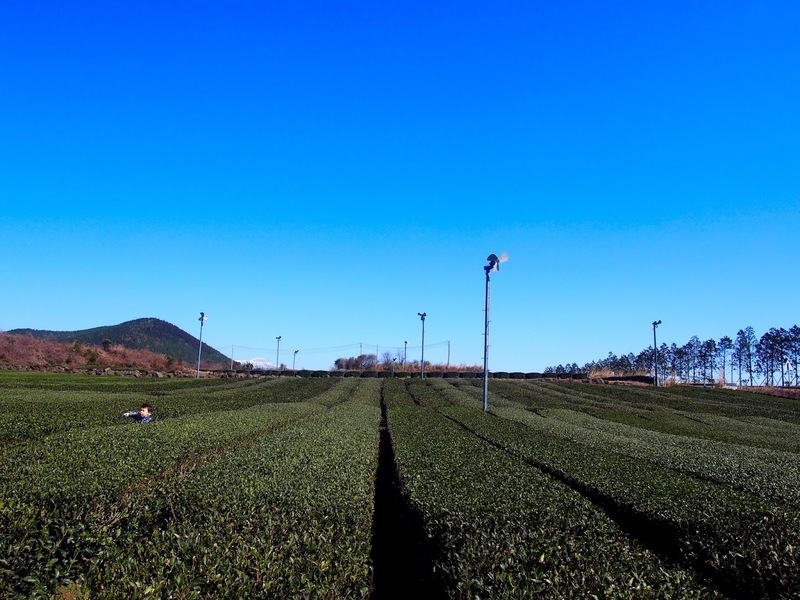 Expectations: My expectations were high because I had visited Boseong Green Tea Plantation. It is located on the mainland of Korean in Jeollanam-do. It is a very large tea plantation, that is beautiful and lush. 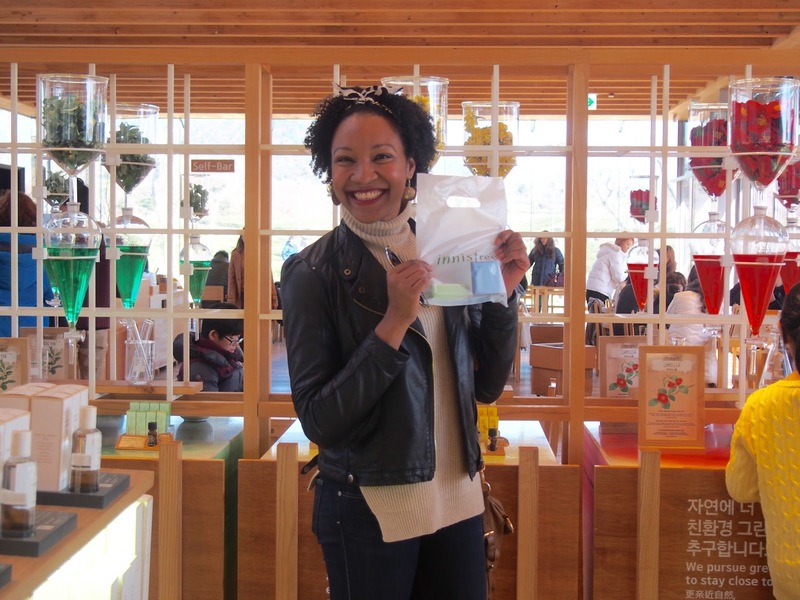 I only had a short time to check out O'Sulloc Green Tea Museum, so I was pleasantly surprised by its charm. 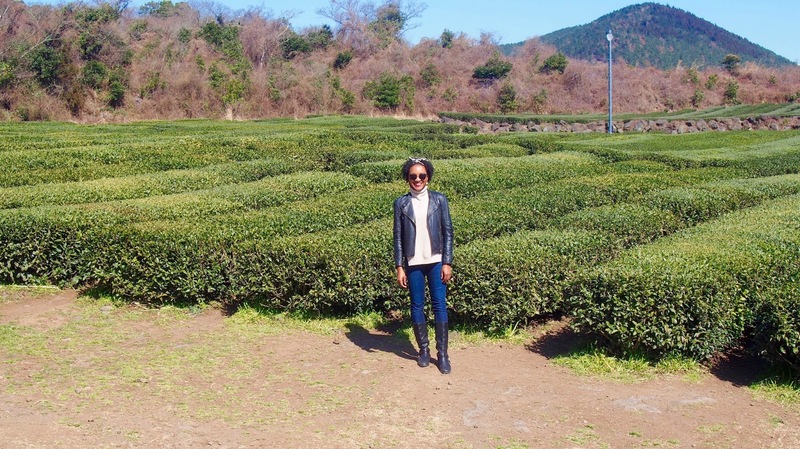 I spent most of my time outdoors exploring the tea fields and getting some vitamin D. I ran through it like it was a maze, except I felt like a giant because I tower over the tea trees. The cafes: One of the best parts of this experience was visiting the cafes on the property. 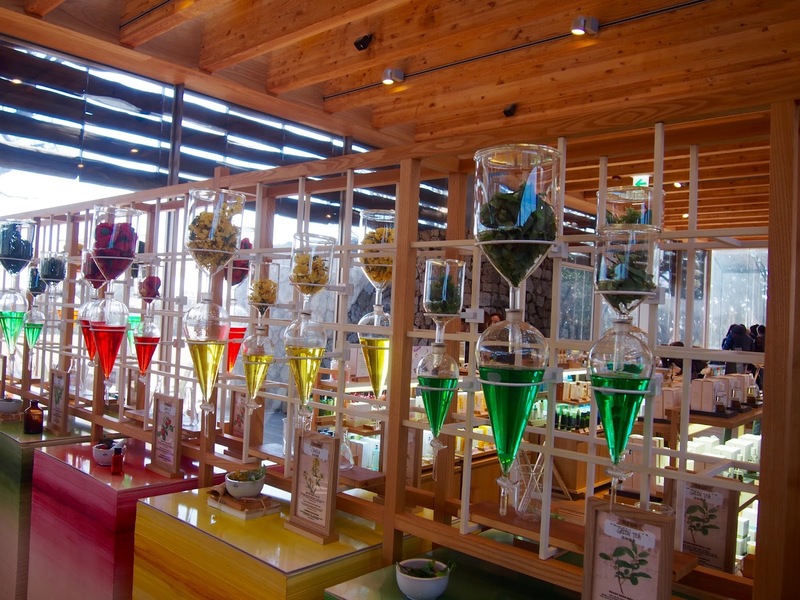 Korea knows how to do cafes. 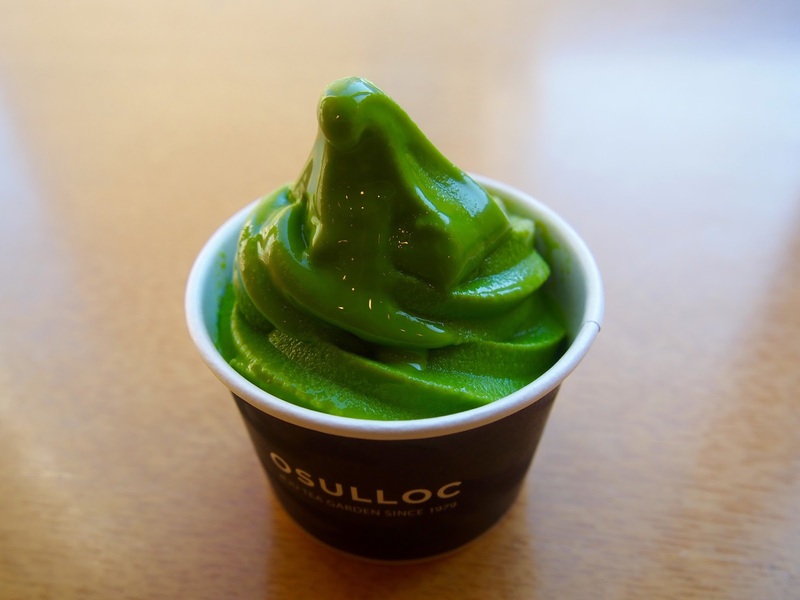 First, I went to the O'sulloc Cafe for green tea latte and ice cream. 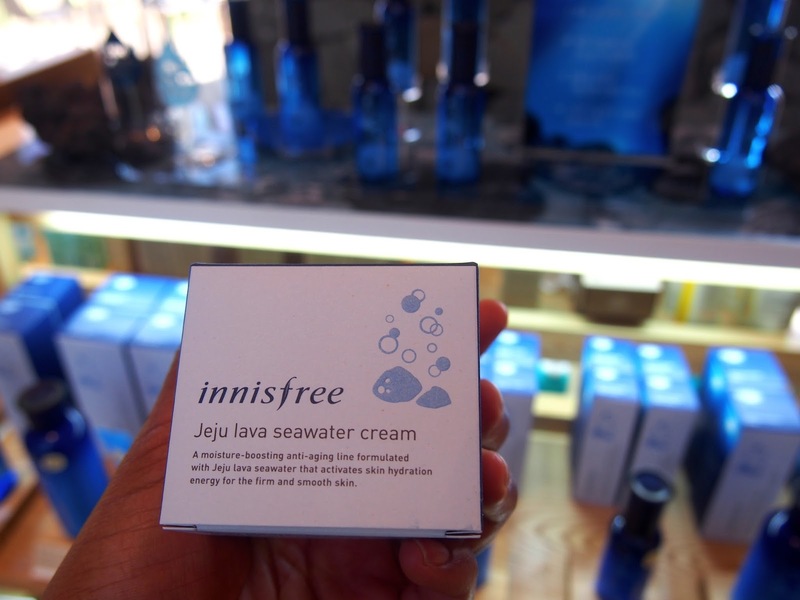 Then I went over to Innisfree Jeju House. It is both a cafe and a beauty bar. 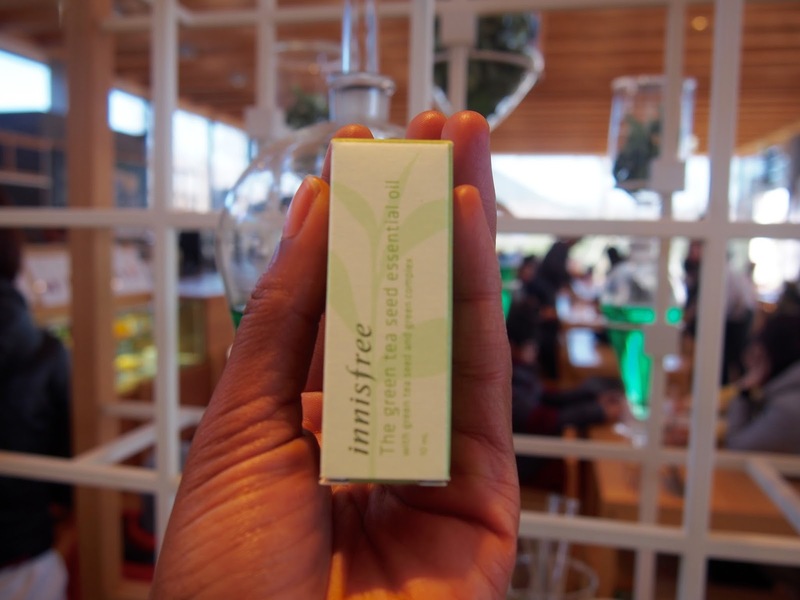 Innisfree is a Korean beauty brand and I love their products. Always reasonably priced and the quality is great. 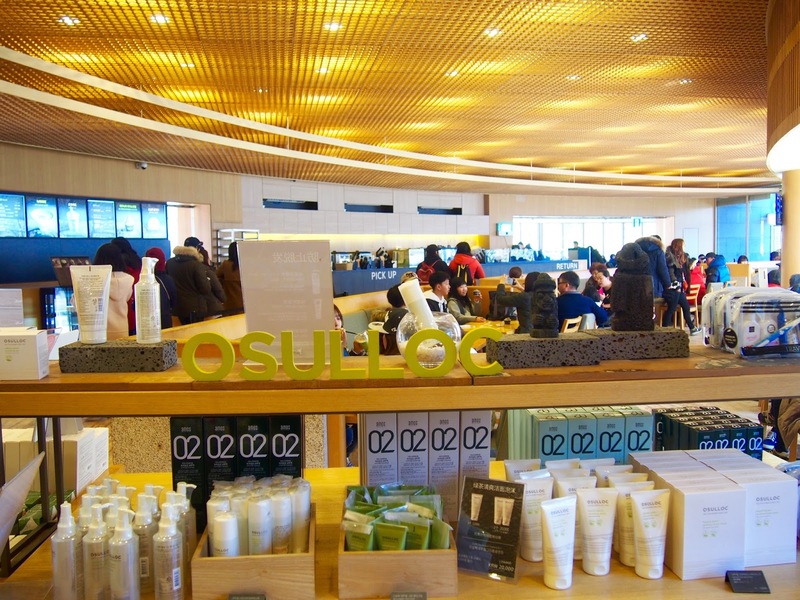 They use organic ingredients and ingredients from Jeju Island in all their products. This location is also their flagship store. From the looks of all the orders coming out, everything looked yummy on the cafe side. I was having major food envy, but maybe I will visit again to try Innisfree Cafe. All the ingredients are locally grown and that is a total turn on for me. If you would like to make a soap, you can do it here as well. A cafe and a beauty bar in one spot seem strange, but don't worry it is all separate ;) Tip: Check out both cafes, before committing to one. Getting there: Taking a bus here is nearly impossible. 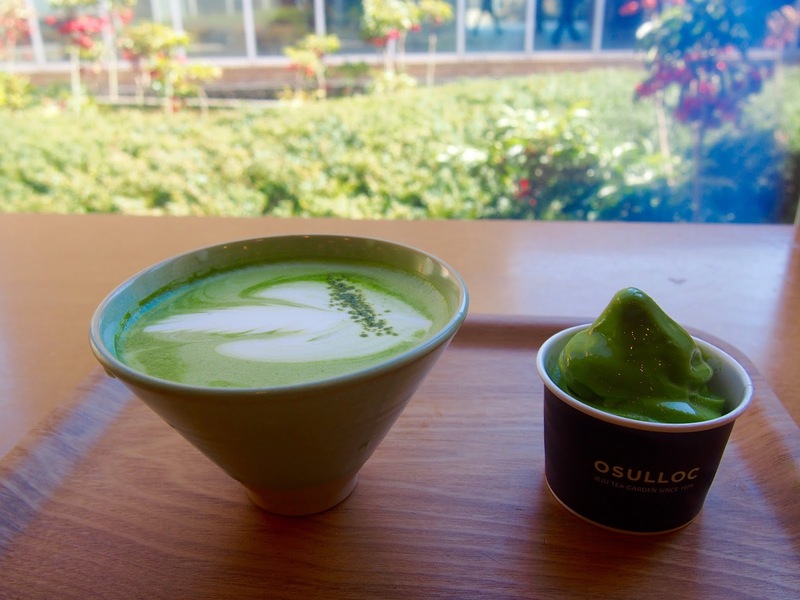 I will have to update this post regarding buses to O'sulloc Green Tea Museum. I went there by car and it was super easy to find with the help of a navigation. 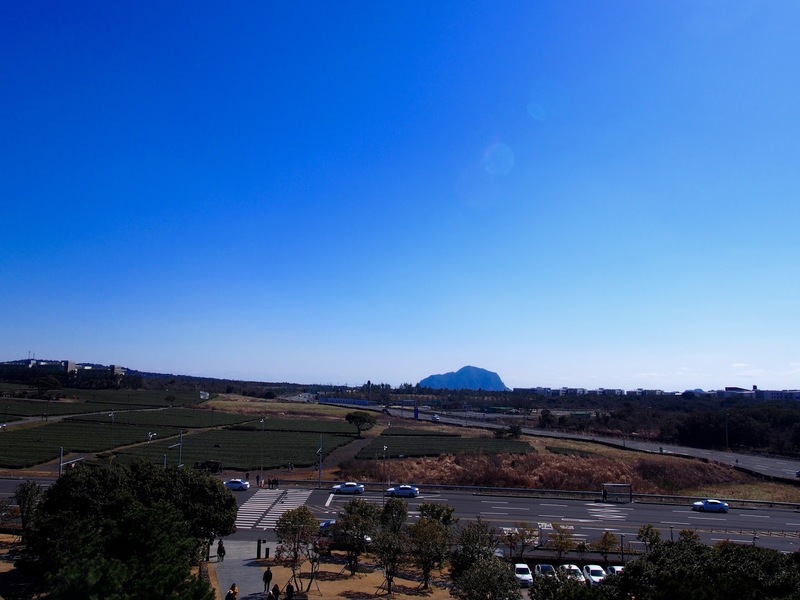 If all hell fails, take a bus from Jeju City. 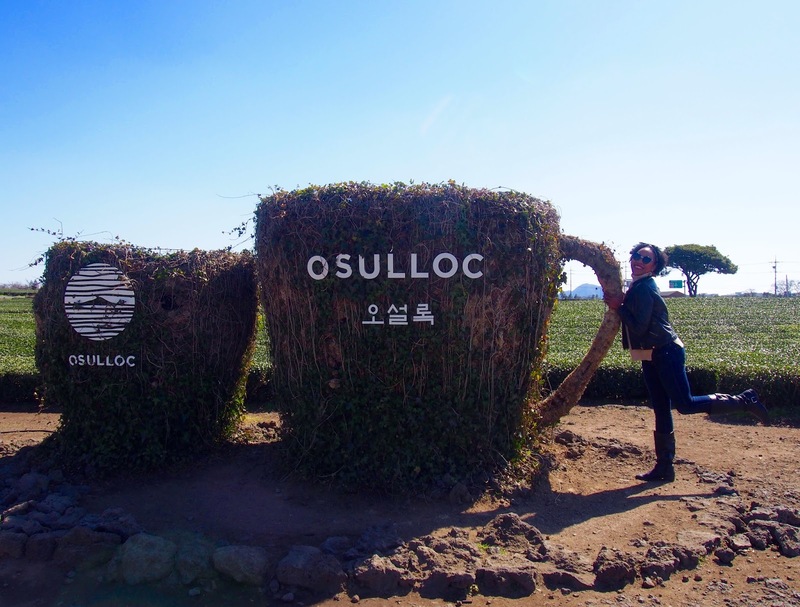 A local bus or the airport shuttle to Jungmun and then take a taxi from there to O'sulloc Green Tea Museum. 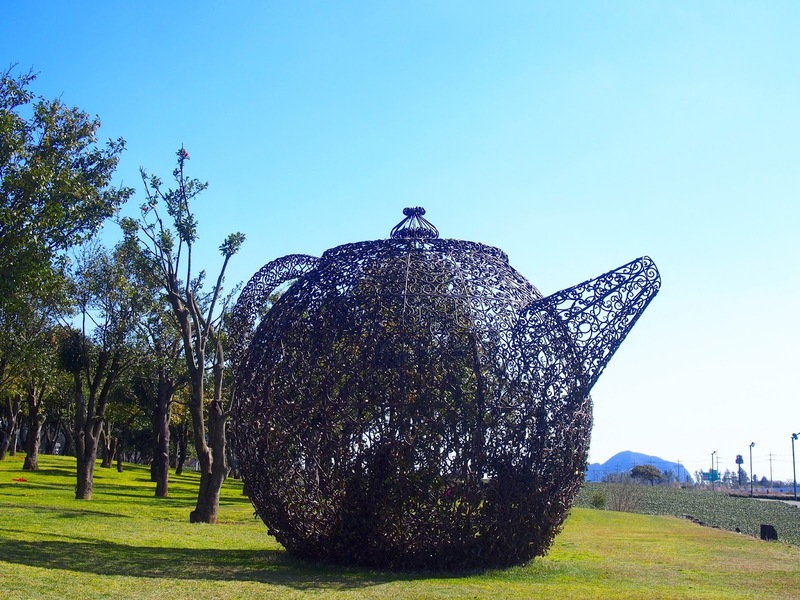 If you are already in Seogwipo, then get a taxi from here to the Green Tea Museum. It will cost you least 30,000 Korean won or $30. If you are in this area it makes sense to go to Sangbangsan because it is not far away. Utilizing your time is important, so plan for a full day of exploring. I had a great time and I know you will, too. Thanks for taking this journey with me. Please leave your comments in the section below! Until next time, stay irie!